The mischievous weasel-like creature responsible for shutting down the world’s largest and most powerful particle accelerator last November has been stuffed and put on display at a Dutch museum. The sneaky stone marten was electrocuted after it infiltrated the CERN distribution station in Geneva, Switzerland and knocked the 27km-long (17 mile) particle accelerator, known as the Large Hadron Collider, offline. The $7 billion scientific instrument at the European Organization for Nuclear Research was put out of action for a day following the incident. Rotterdam Natural Museum in Germany was watching the incident closely. 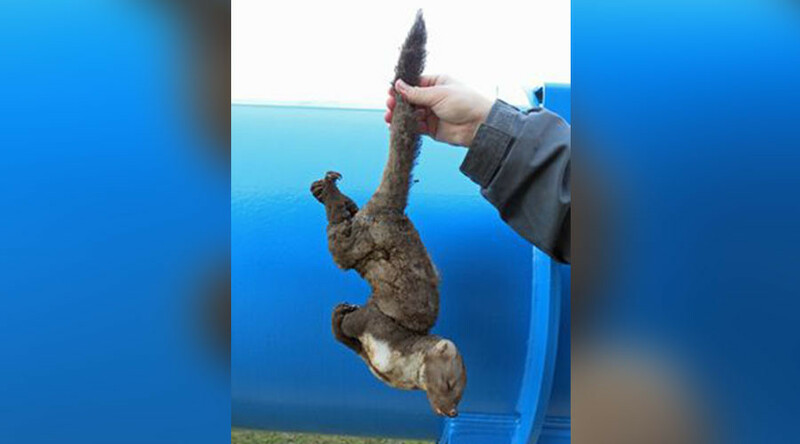 The museum had already missed out on recovering a weasel which died after gnawing through a 66-kilovolt transformer at the facility back in April. This time, the museum was granted permission to add the unfortunate furry fellow to its exhibition ‘Dead animals with a story,’ allowing the stone marten’s impressive legacy to live on. 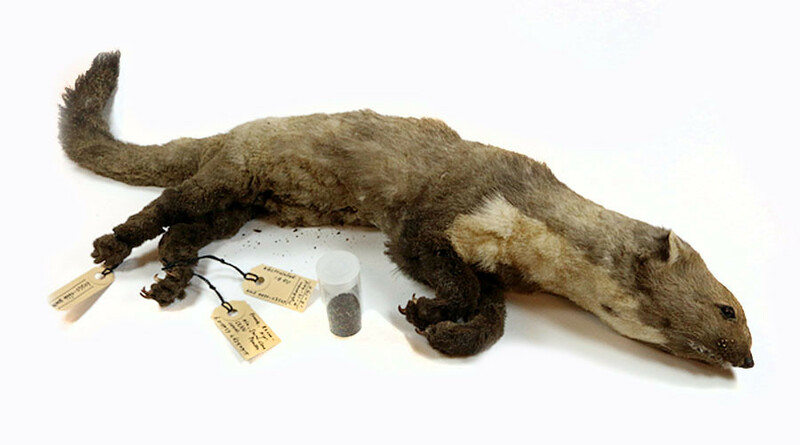 The young female stone marten is now on display with the effects of the electrocution clear to see – the creature has scorched fur, burned whiskers, deformed nails and charred feet. 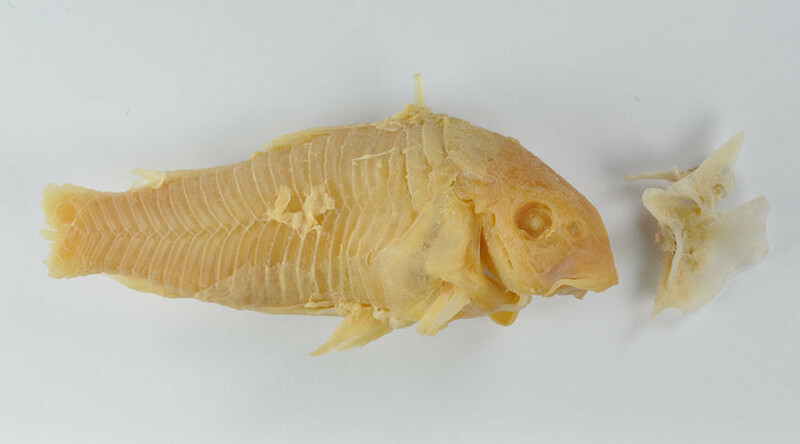 The exhibition features other dead animals which met their demise in remarkable ways. 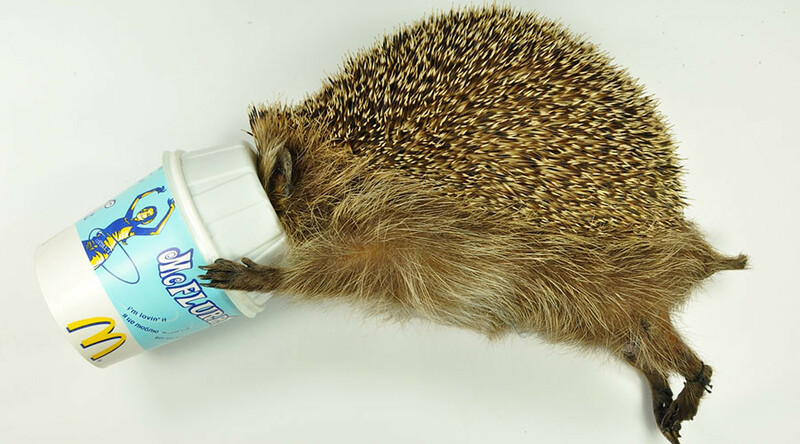 These include an armored catfish which was surgically removed from the throat of a 28-year-old man after he swallowed it alive, and a hedgehog which became fatally trapped in a McDonald’s McFlurry pot.